Welcome to our first weekly Essential Oil Spotlight! Each Wednesday, we’ll feature an essential oil to learn more about. This week, we begin with organic Sweet Orange Essential Oil (Citrus sinensis). Our Sweet Orange oil has a zesty and refreshing citrus scent that spreads a little sunshine on gloomy thoughts or when you just feel blah. This oil is reviving when feeling bored when when you have a lack of energy, which can happen for some people during the cold dead of winter. Sweet Orange is also great for banishing tension and stress. Its relaxing nature could be beneficial to insomnia brought on by anxiety. At SunRose Aromatics, we have several diffuser blends that contain Sweet Orange, such as Ambiance, Happiness, and Joyful Joyful. However, why not try making your own blend? 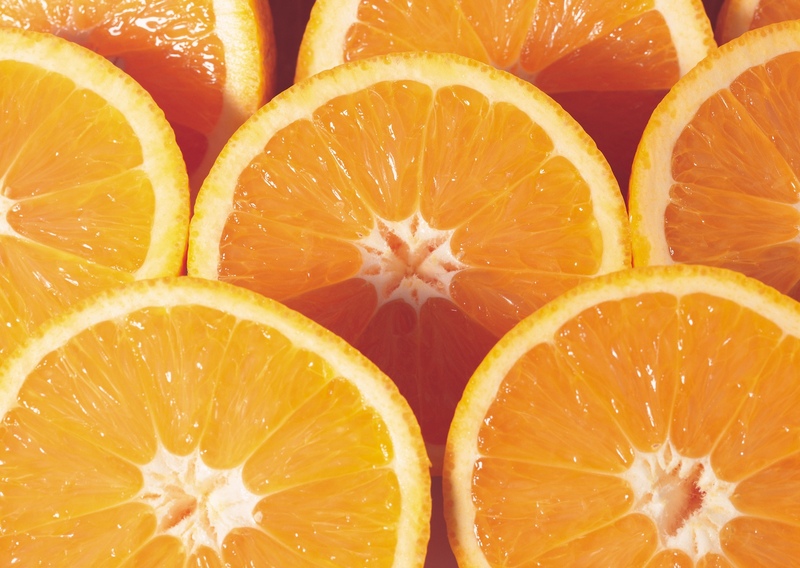 Try Sweet Orange with Lemon, Lavender, Geranium, or Bergamot, or just diffuse it on its own. Play with this happy oil to create your own fun and joyous blend. Remember! If using Sweet Orange on the skin to dilute first – always dilute, please – and remember that citrus oils are phototoxic, so do not wear in the sun. Refer to our Dilution Charts for more information about dilution. For the next week, until 1/18/2017, use coupon code SWEETORANGE to save 10% on 15ml or 30ml retail sizes of organic Sweet Orange Essential Oil. We hope you’ll give this fresh, bright essential oil a try! It’s January 2011 / Happy Snow ! Sasha enjoying the Snow in back Garden! January is in full swing here in the Big Apple! The snow has been falling for days now. And yes, I do love the quiet beauty of snow, everything is sparkling and magical to me. The winter season brings with it many things: winter sniffles, dry skin, winter doldrums. You know the feeling: You’re more tired these days, maybe anxious or moody. Cocooning with some leftover Christmas cookies or other sweet and high-carb fare sounds better than hanging with the crowd. Your sexual appetite may be on a diet, or even fasting. It’s harder to get out of bed, and when you do, your mood resembles the landscape you see — cold, dark, and nasty. The lack of sunlight affects the brain and causes ‘Seasonal affective disorder’, the aptly acronymed SAD that is typically diagnosed after at least two consecutive years of more intense symptoms. Diffuse some citrus essential oils such as Sweet Orange, Grapefruit or our Summer Delight Diffuser Blend. Light therapy also is helpful. Himalayan Crystal Salt Lamps I find also help as they are a ‘Natural Ionizer & Air Purifier’. St John’s Wort an all natural herbal tincture. Do a ‘home spa day’. Your skin (your biggest organ) is also taking a beating from the cold winds and the dry skin. Stay cozy and warm and if you have to venture out into the world, drive safe.